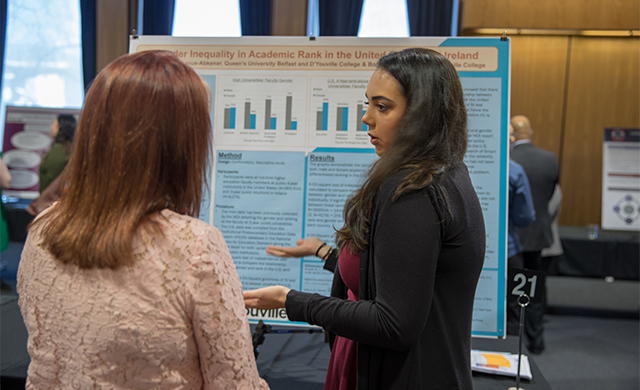 Pharmacy research is a transformative learning experience and an opportunity for students to work collaboratively with their peers and mentors. Pharmacy research helps students learn how to collect, organize, analyze, and share information with colleagues. Pharmacy research can range from improving drugs that currently exist to understanding the molecular disease pathways to discovering and developing drugs and drug formulations. It’s this knowledge of pharmacotherapy — medical treatment by means of drugs — which translates to improved patient care and patient experience. Everything from learning appropriate medication, reactions with other drugs, and how to overcome disease mutations contributes to the overall well-being of the patient. Pharmacy research is the foundation of drug discovery, drug design, and careers in pharmacy. It is the basis for further developing medications, guidelines, and finding practices for the best way to treat patients. Learn what D'Youville's research facilities have to offer to students, academics, and researchers. 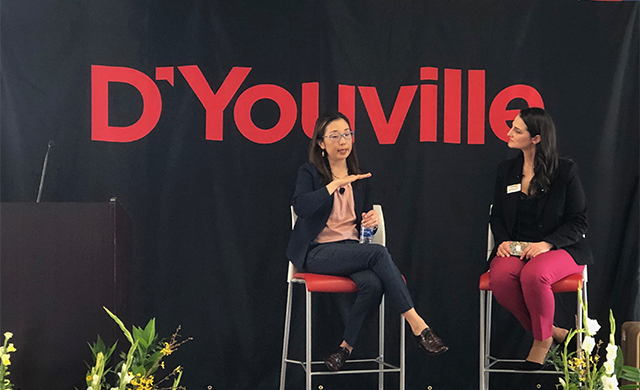 Pharmaceutical research is a major component of D'Youville's School of Pharmacy and we support research at all levels through access to modern facilities, topical events, and passionate, student-focused research instruction. D'Youville's pharmacy research facilities offer researchers access to state-of-the-art equipment in a new, modern setting. Pharmacy students at D'Youville get involved in research and our outcomes prove the power of student research. Meet our faculty, discover related research topics, and contact us to speak about research at D'Youville. Connect with the School of Pharmacy to learn more about program goals and the school's dedication to student success. D'Youville's accredited PharmD program prepares students to work at the front lines of medicine. Learn why our integrated, collaborative healthcare approach to learning leads to success.